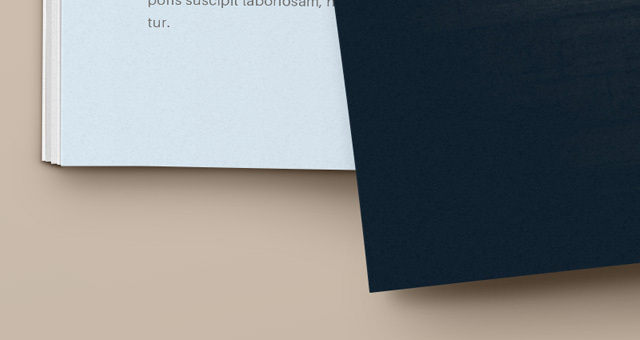 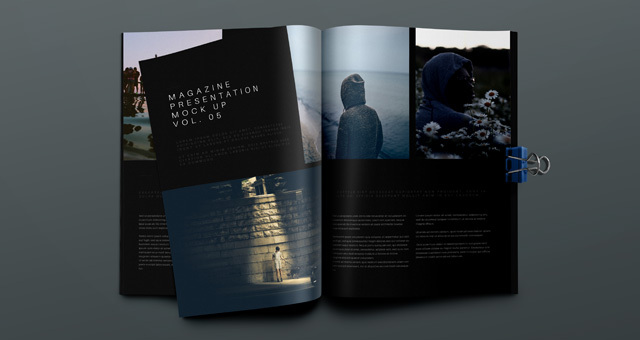 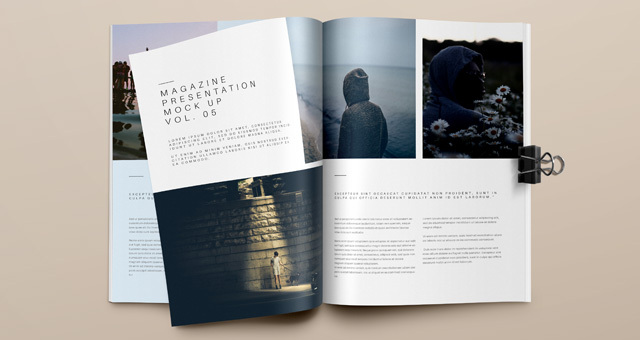 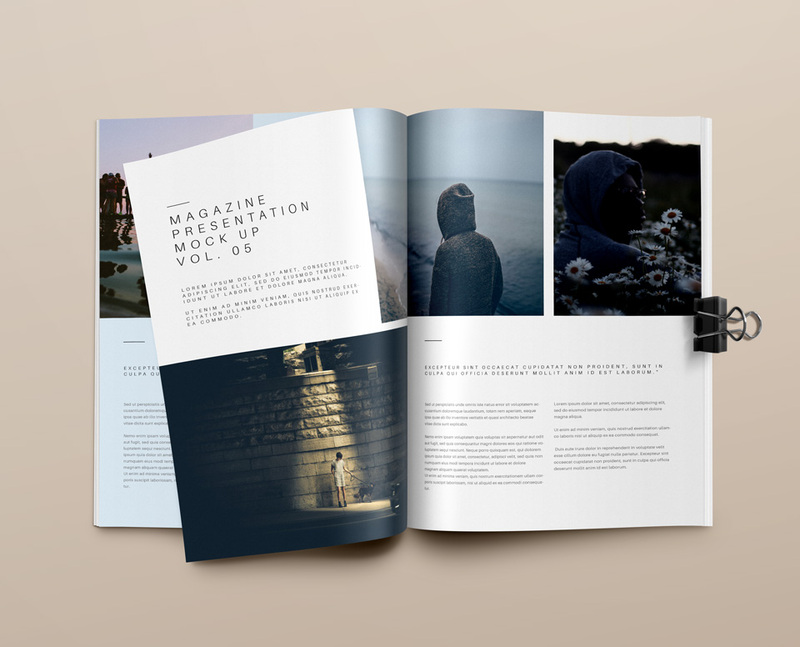 A new elegant psd magazine mockup for inner page design displays. 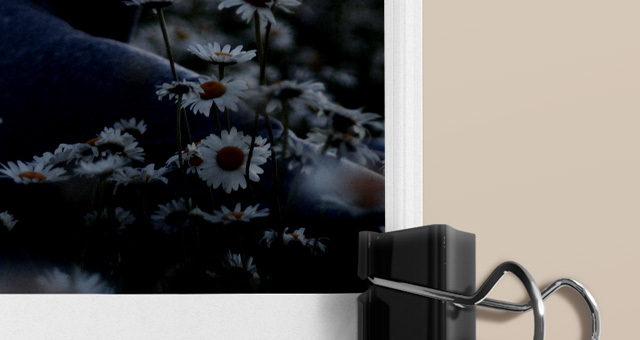 It includes a nice paper clip to make it just that much more special. 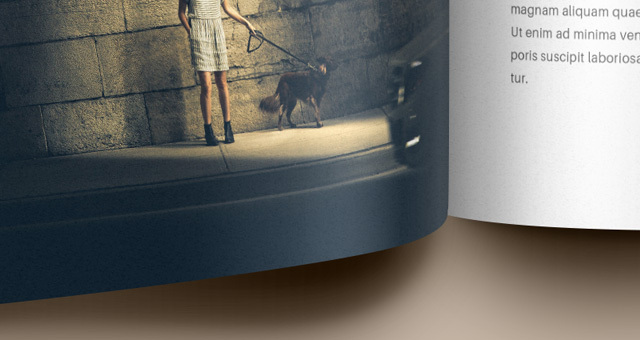 Use smart layers to drag and drop your pages with ease.